A change of leadership could be coming sooner than later in Britain, according to eurosceptic lawmaker Jacob Rees-Mogg. The lawmaker said Thursday, "I think it can be done quite quickly. I think the parliamentary processes can be sped up," he told reporters, adding "not months, but I think weeks." The lawmaker Rees-Mogg suggested the name Boris Johnson as a potential replacement. He also mentioned David Davis, Esther McVey, and Dominic Raab, all members who quit May's political cabinet int he last year sort of like rats fleeing a sinking ship. Penny Mordaunt has also widely been rumored to be a replacement as well. Rees-Mogg has called for a vote of no confidence in May and his request has been mocked by his detractors as a "coup". Other Twitter users compared his call for a vote of no confidence to the Declaration of Independence in America. 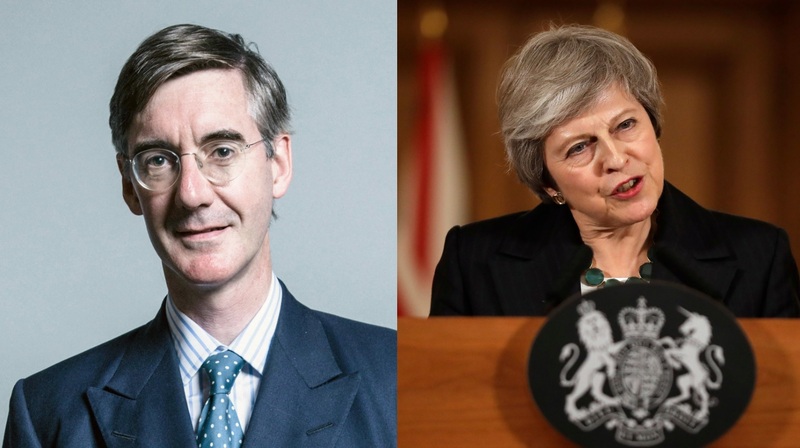 Rees-Mogg has also been attacked for suggesting either Boris Johnson or David Davis as possible successors who could be capable of leading a "proper Brexit".